The next meeting of the Amateur Radio Experimenters Group will be held 1 week later than usual this month, on Friday March 23rd. The date has been delayed as the SA State Election is being held on the 17th and the hall is being setup as a polling booth the night before (our usual meeting night). The presentation for the evening will be “Introducing FT8 Mode, what is all the hype about?” by Grant VK5GR. 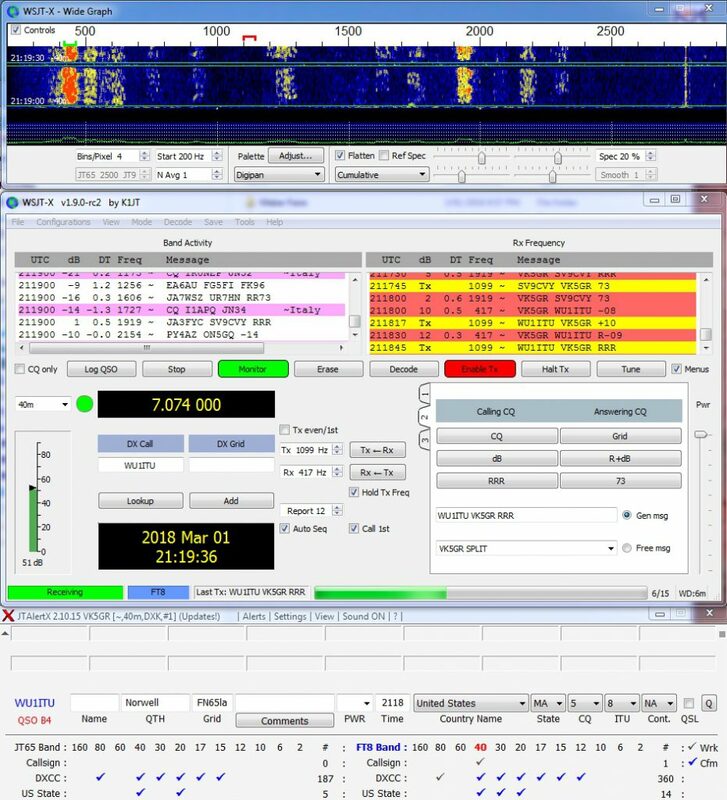 Grant has closely followed the development of FT8 since it’s inception and was an early user of it in DXpedition environments during his activation of Niue last year. Currently a live demonstration is also being planned. Grant will be available for questions after the presentation during supper. The meeting will be held at the Fulham Community Centre (previously known as the ReedBeds) with parking accessed from Phelps Court, Fulham. The venue will be open from 7.45pm with the meeting starting at 8.00pm. Following the technical presentation there will also be the usual club business meeting. Visitors are always welcome! So come along and meet the Amateur Radio Experimenters Group! This entry was posted in Club News, Meetings by AREGNews. Bookmark the permalink.